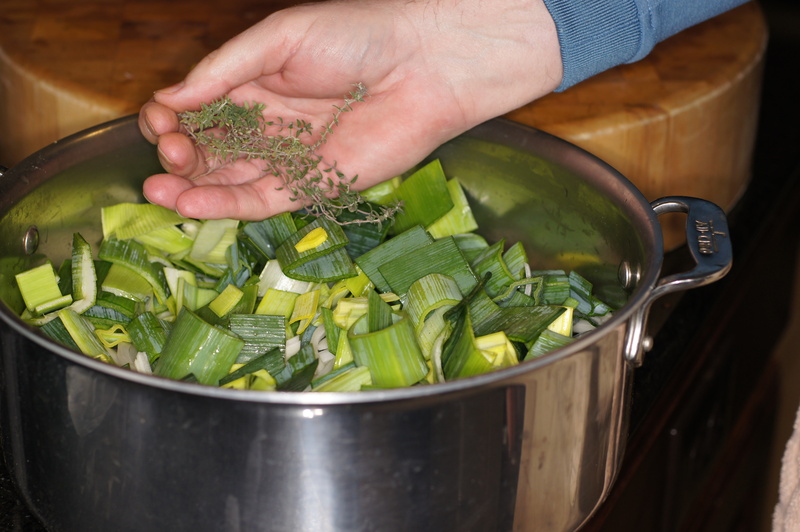 Inasmuch as it’s still winter, it’s time for another soup/stew. This stew hails from Catalonia, an autonomous community within Spain, with Barcelona as its capital, that borders France and Andorra to the north and the Mediterranean Sea to the east. Due to its location on the Mediterranean Sea, not surprisingly various seafood dishes and vegetables, such as tomatoes, red peppers, aubergines, mushrooms and artichokes, are common. Additionally, because it’s northern boundary has the Pyrenees, you find a lot of pork, lamb and cheese dishes, as well. 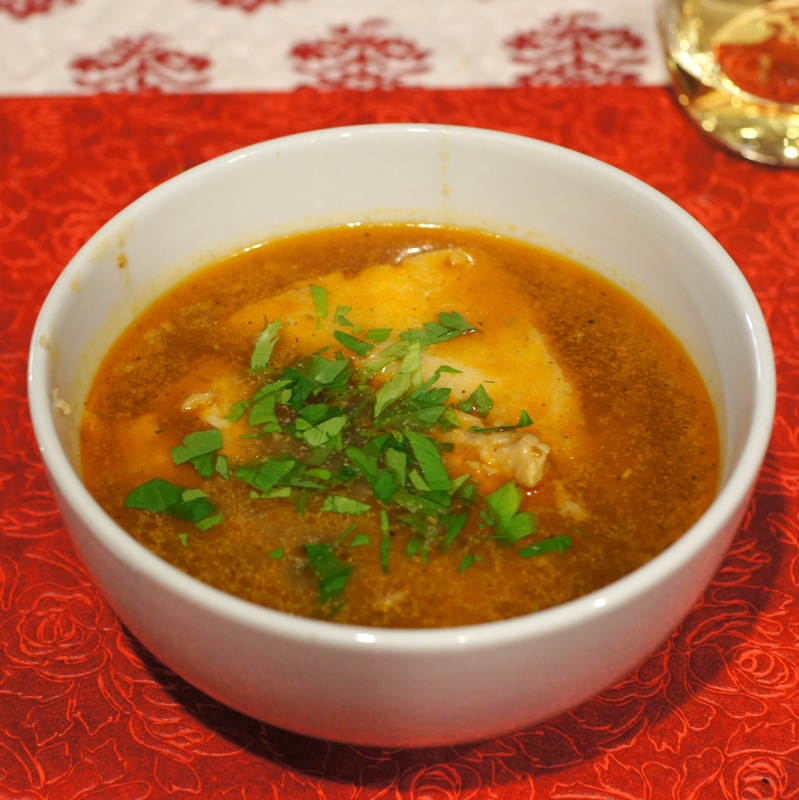 Given we are trying to shrink our bellies, we selected this fish stew and we are glad we did. Mm good! Now many of you looking at the title of this dish are somewhat confused. 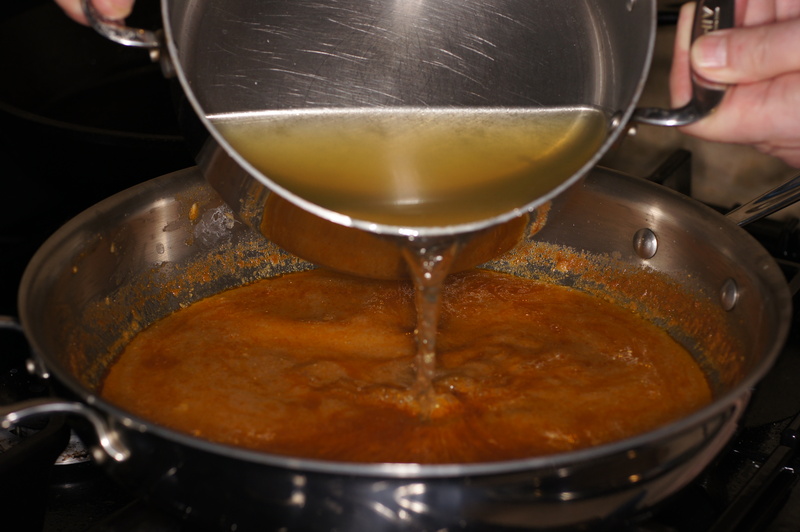 Most people associate romesco as one of the 5 classic sauces from Catalonia (romesco, alioli, picada, sofregit, and samfaina), made with tomato, red pepper, garlic, and almonds. Romesco, in Catalan cuisine, however, means more than just a sauce. Romesco refers to a pepper (nyora – a must in making authentic romesco sauce), romseco sauce and this seafood dish. Rather than using romesco sauce as it’s base, it uses picada. What is a picada, you say. Well, it’s similar to a romesco except it’s primary ingredients are chiles, almonds/hazlenuts, garlic, olive oil and bread. The recipe for picada used for this dish is found here. Romesco de Peix, also known as Romescada and Catalon Fisherman Stew, is the stuff of countless fishermen fiestas. Classically, the stew includes monkfish and is enhanced with shell fish but anything goes. In fact, every Catalan housewife has her version of Romesco de Peix. 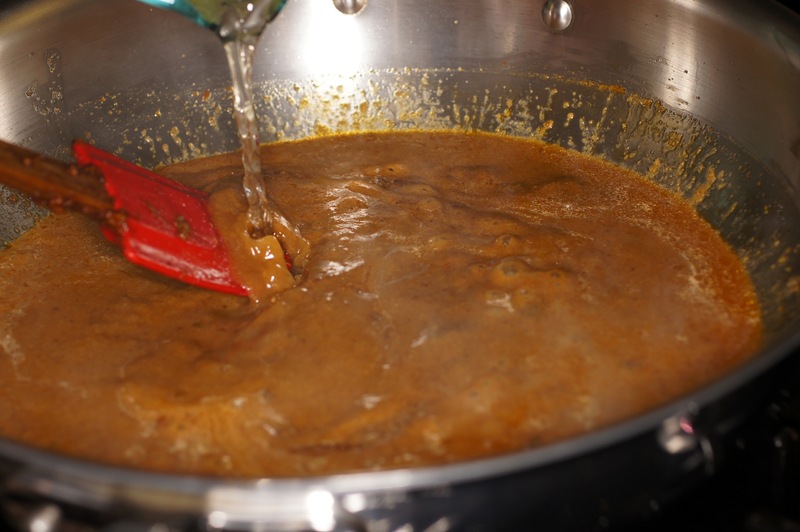 Virtually any fish can be used in this stew but it must use 3 different varieties of fish. Recommended fish would include monkfish, swordfish, halibut, sea bass, turbot, cod, rockfish, red fish, red snapper and ocean perch. Whatever you do, use the freshest fish you can find. In this dish, we used yellow snapper, pomfret and sea bass. It was very tasty. Here is what we did. Once all of the fish are filleted, take the bones and soak them in water for 30 minutes, thoroughly rinsing when you are done. 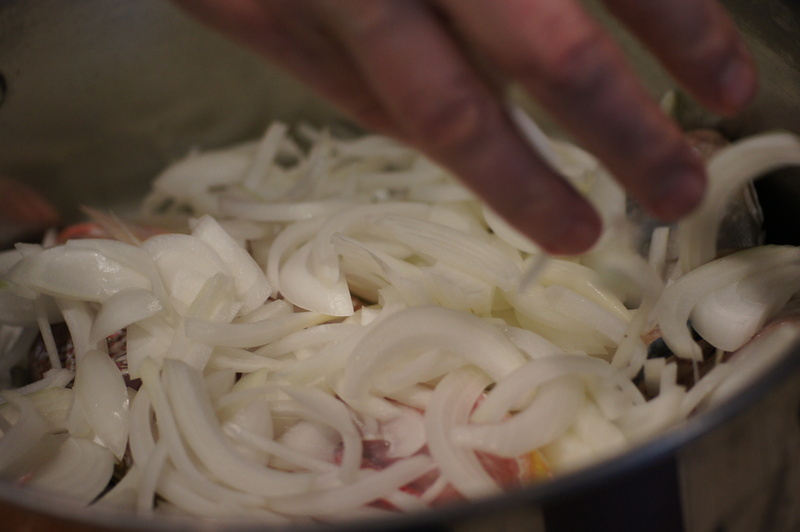 Put the rinsed fish heads and bones in a large pot and add onions. Beat 2 eggs and add to the pot. And then enough water just to cover. 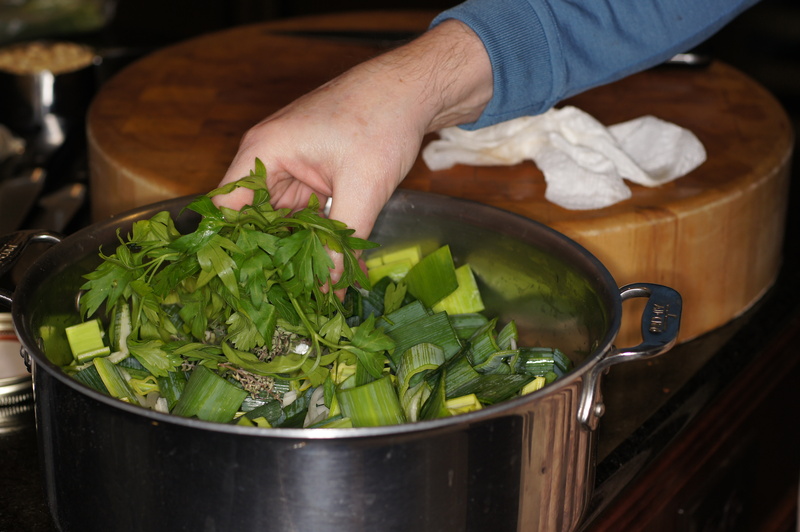 Bring the broth to a simmer and simmer for 45 minutes, or so. 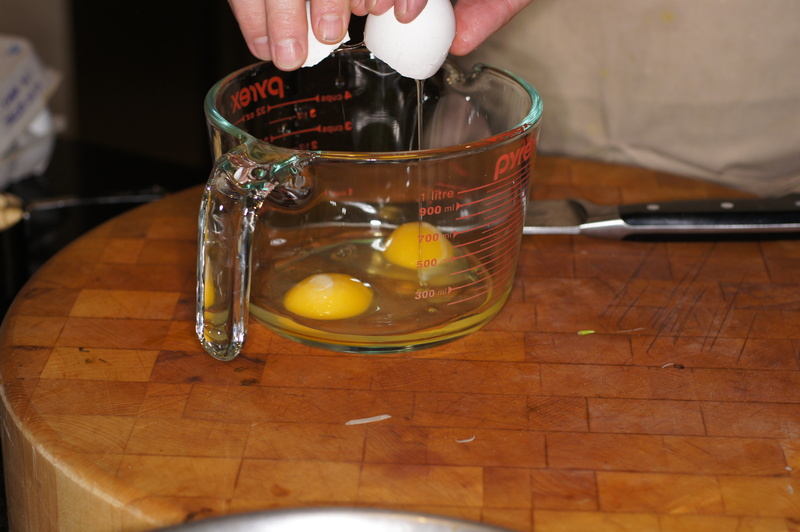 The eggs will cook and form a raft that traps the impurities and scum that floats to the top. When done, strain the fish stock through a fine mesh strainer lined with muslin and set aside. 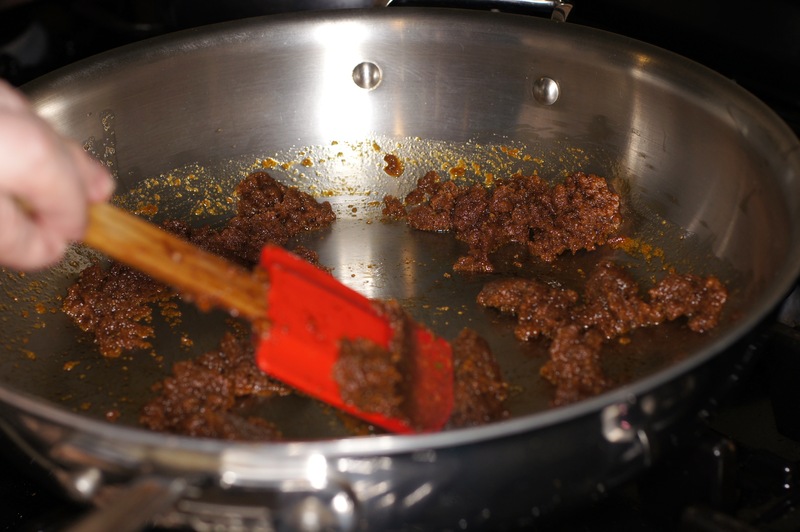 Add the olive oil to a skillet and add 1/2 cup of picada. 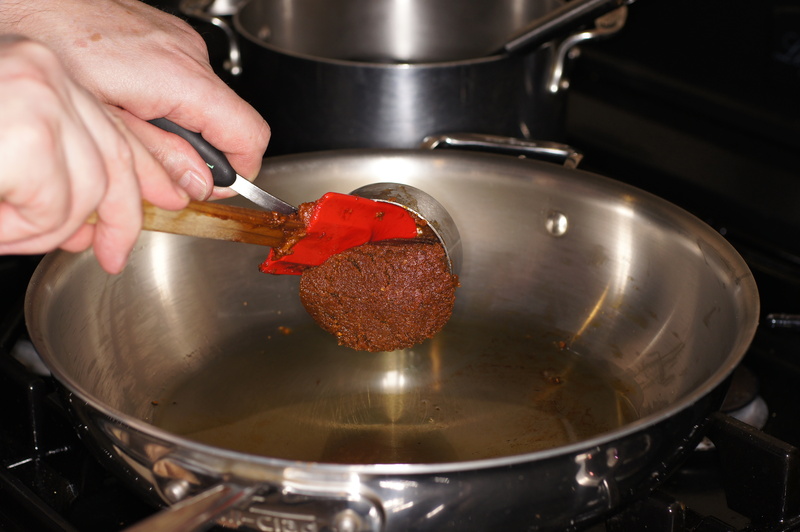 Stir with a heat proof spatula or wooden spoon and cook for 2 minutes. 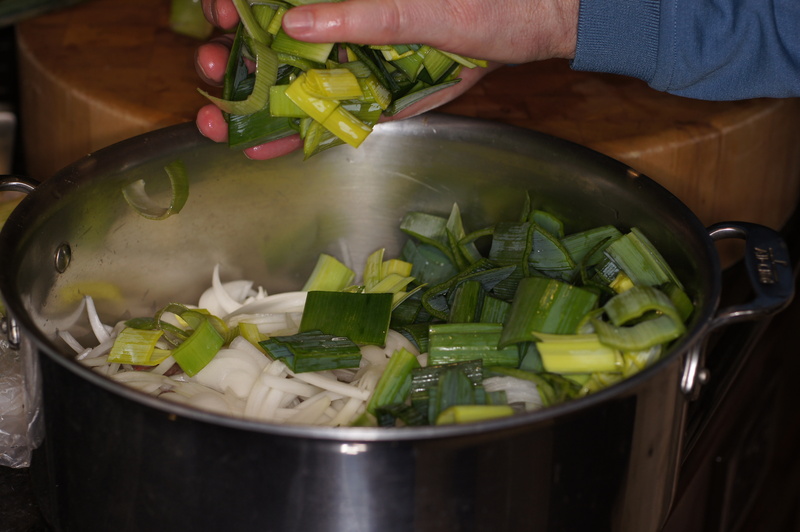 Add 2 cups of fish stock to the skillet and stir to incorporate. 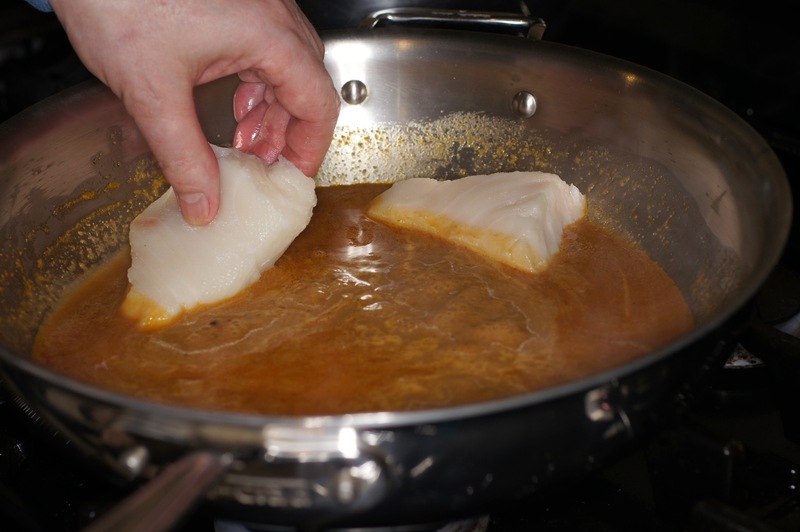 If necessary, add enough fish stock to barely cover the filets and poach until done, roughly 8 minutes per 1 inch thickness. 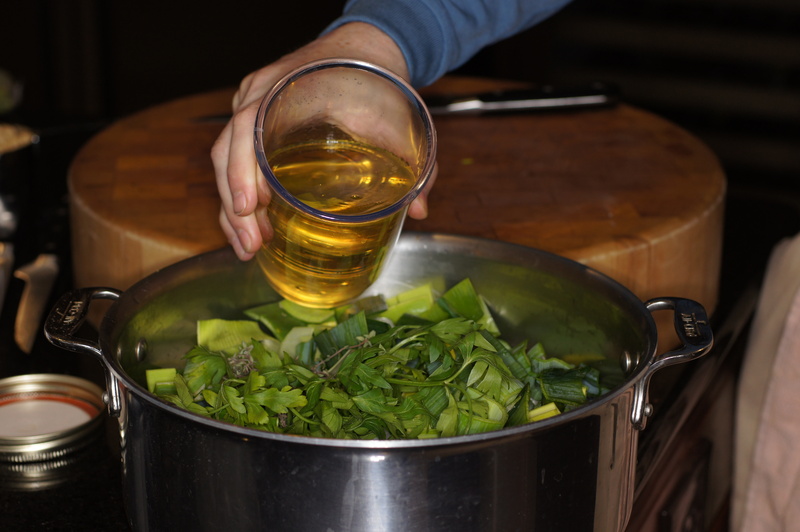 When done, remove fish from liquid and arrange in bowls. 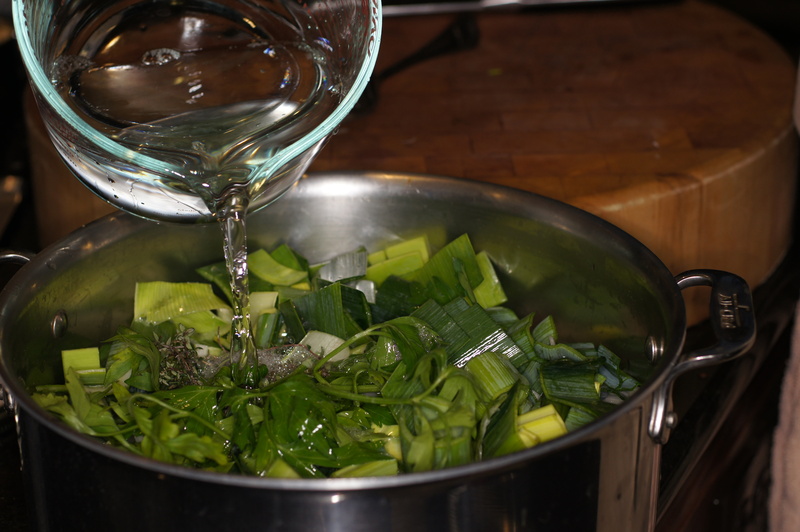 Pour the rest of the stock into the skillet. Bring to a full simmer while stirring and season with salt and pepper. Ladle over filets in bowl and sprinkle parsley over the top. Serve & enjoy. WOW This looks awesome keep up the good work. Thats cool one day I will get in food from Spain. This is very similar to French (Bouillabaiise) and Italian recipes that I’m familiar with, except for the nuts. 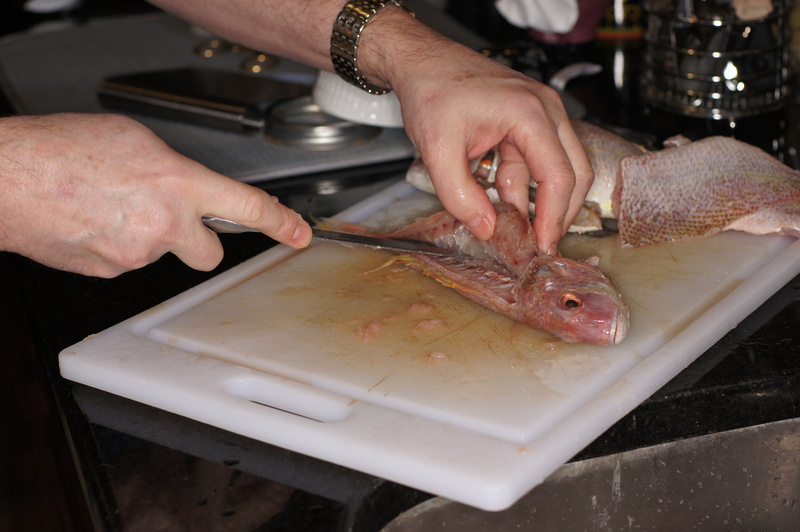 I like the method to use the bones and heads for the stock and only add the fish fillets at the end to poach. Another great post, Richard! Thanks, Stefan. Glad you liked it. 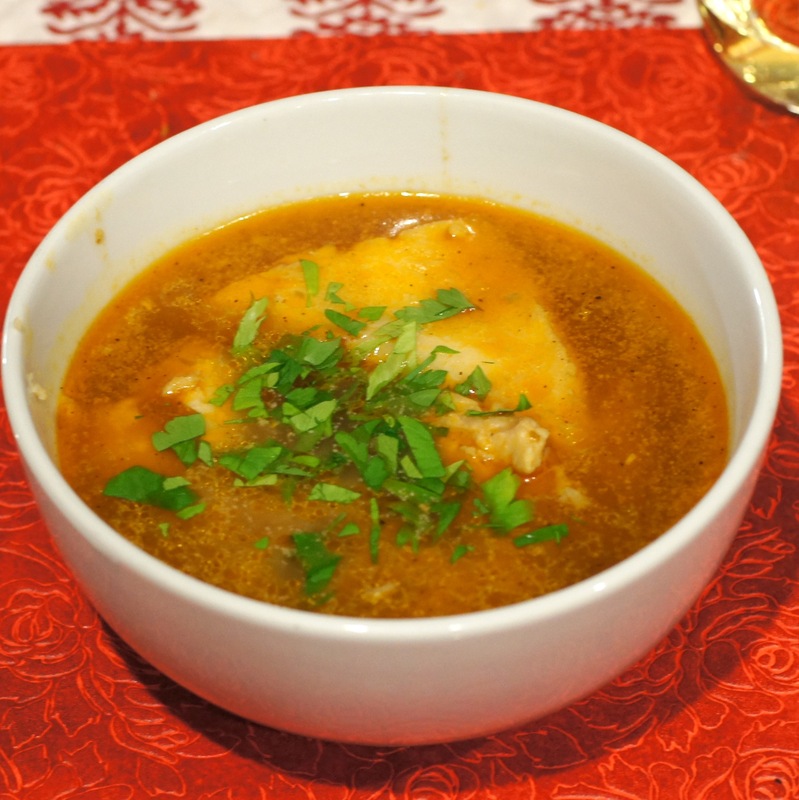 We really like fish stews and soups and this one is very nice. I found the issue with the stock and made the change. Thanks for catching it. I’m really getting bad at proof reading and need to pay a little more attention to details. I hope you don’t mind that I point it out if I find a mistake. I know I would want you to let me know if you catch anything as I’d hate it if someone tries one of my recipes and fails because of a mistake I made. Thanks, Alice. This dish is a lot of fun, different and the picada really flavors the dish. No matter the country, one can eat very well going from village to village across the Mediterranean eating nothing but that town’s or province’s fish stew. Although I’ve enjoyed a number of them, this one is new to me, Richard, and I can’t help but feel that I’ve missed something special. This sounds delicious and now I’m off to check out your picada recipe.